The day is finally here - True Roots Chiropractic has officially opened its doors! We are a chiropractic office in Des Moines serving the Greater Des Moines area. We are located off Ingersoll Ave right next to the Soll Apartments and Teddy Maroon’s. Our mission at True Roots is to provide all patients with an amazing healthcare experience. We are so excited to help those in Des Moines who need exceptional chiropractic service, and build lasting relationships with our patients. We want to create a shift in the way our Des Moines community pursues health. At True Roots Chiropractic we pride ourselves on exceeding your expectations and providing you with an exceptional chiropractic experience. As a team we strive to create an environment that is welcoming, uplifting, and passionate about chiropractic and helping you achieve your health goals. Our Chiropractic services focus on pediatric care, pregnancy, young adults, seniors, and anyone seeking care for their family. Check out some of our Testimonials and see what others are saying about their experience with True Roots! Dr. Paige is truly passionate about not only chiropractic services, but helping others live healthy lives. Dr. Paige always knew she wanted to pursue a career that allowed her to serve and empower others. She acquired her Doctorate of Chiropractic at Palmer College of Chiropractic in Davenport, Iowa. Dr. Paige is certified to serve children at the highest level with the most effective techniques. She also earned her Webster Certification, which is an advanced certification that instructs doctors how to specifically care for prenatal and postpartum mothers. Outside of the office, you can find her enjoying time with family and friends, golfing and traveling with her husband Will. Arrival & Paperwork: When you first arrive at True Roots, you are greeted and given your paperwork to fill out. However, we recommend you download paperwork beforehand so Click Here to get started! Office Tour: We like to give all of our new patients a quick tour of the new True Roots office where you can ask questions and meet our team! Consultation: Here our team reviews your paperwork and any health goals you have. This is also a great opportunity to ask questions about chiropractic care, your health, and True Roots! Assessment: We use the most reliable and advanced technology in the chiropractic field to evaluate any stress and nerve interference that may be present. Our goal is to discover any dysfunctions within your body so we can provide the best possible care you deserve! X-Rays: These are not always necessary, but the final step to your first office visit is to have digital x-rays taken. Our x-ray system is safe, professional, and cost-effective for all patients. This allows Dr. Paige to get an exact assessment of your spine and problems. Doctor’s Report: Following your first appointment is the Doctor’s Report. 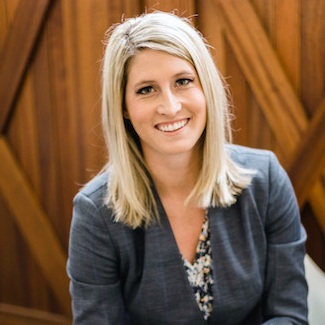 Here Dr. Paige will share more information explaining chiropractic, health, and and care expectations. Then we will review findings of your individual x-rays and assessment results. Your First Adjustment: After the Doctor’s Report you will have the opportunity to receive your first specific chiropractic adjustment from Dr. Paige. Thinking about booking your first chiropractic appointment? Schedule a Visit with True Roots Chiropractic today! 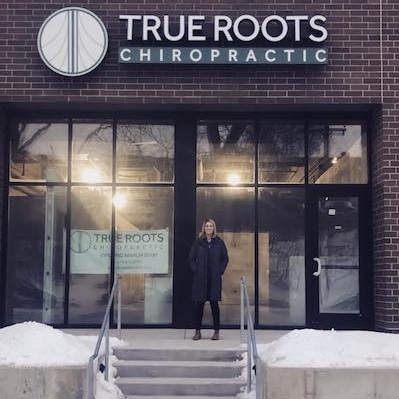 We are so excited to open our doors to the Des Moines community, and always reach out to us if you have any questions about True Roots or chiropractic care!